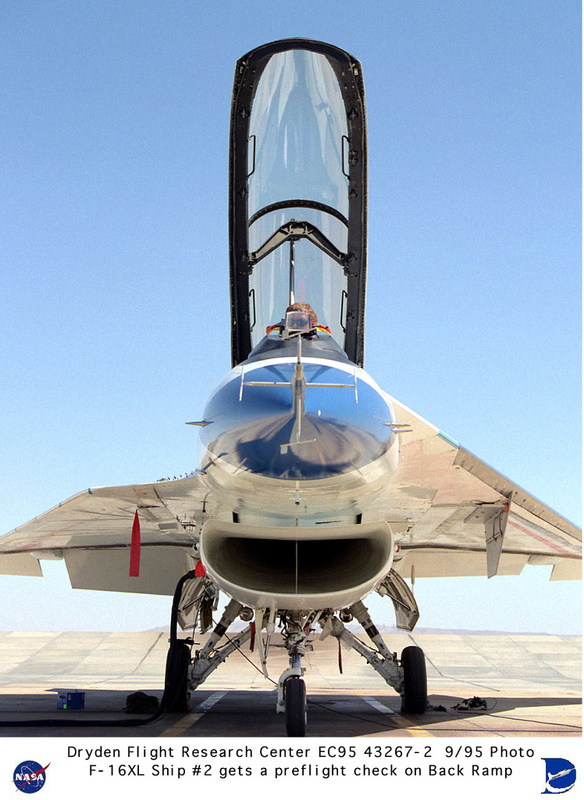 Description: This photo of NASA's F-16XL laminar flow control research aircraft was taken on the back ramp, Sept. 1, 1995, following installation of the laminar flow control experiment panel on the left wing's upper surface and leading edge. The laminar flow research project, flown at NASA's Dryden Flight Research Center, Edwards, California, investigated the use of a suction system built into the experimental panel and wing to remove a small part of the boundary layer of air along the aircraft wing. The resultant expansion of the area of laminar (smooth) flow over the wing can reduce aerodynamic drag and help reduce aircraft operation costs by improving fuel consumption. 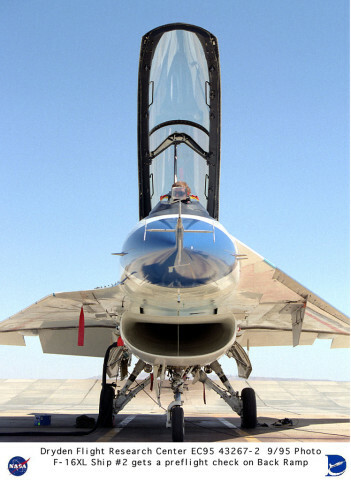 Data from the NASA research project may lead to the use of a similar suction system to achieve laminar flow in future supersonic transports and fighter aircraft.